Mini Corsages for Valentine’s Day, St. Patrick’s Day, Easter are Here! Now that Christmas and New Year’s decorations are boxed up and put away, I’ve been able to pull together some products for Spring. I’m going to post two new lines of corsages in 2013. The first group will be holiday mini-corsages.Many of my customers are corsage collectors, and so the larger pieces are the items they prefer because the corsage is primarily for display. Lots of my customers wear their corsages, and a more petite size is often preferred. The smaller size tends to weigh less and be easier to actually wear. 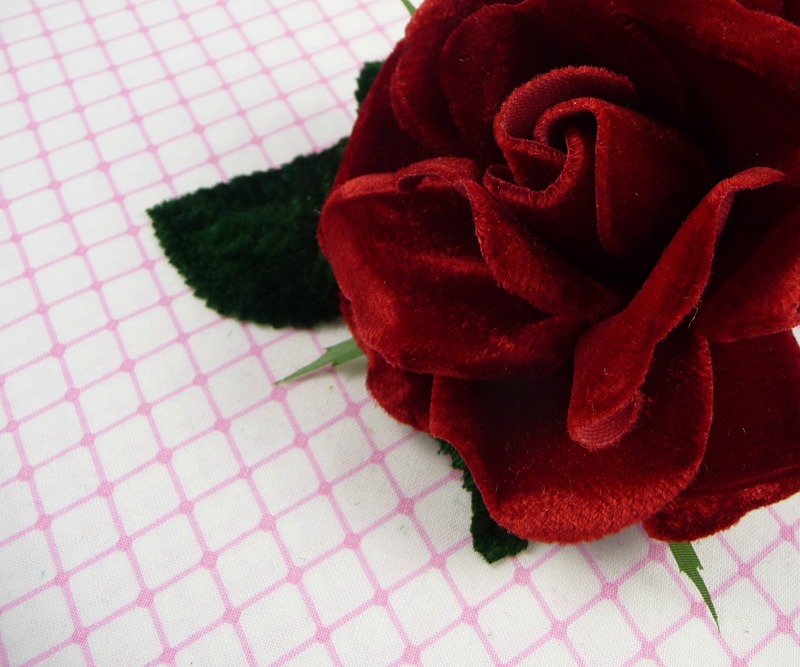 With that in mind, I’ve created a line of corsages for Spring holidays of Valentine’s Day, St. Patrick’s Day, and Easter that still incorporate some of the vintage favors and charms used in the larger corsages, but in a more diminutive size. Because fewer components are used, they are also a bit less expensive. 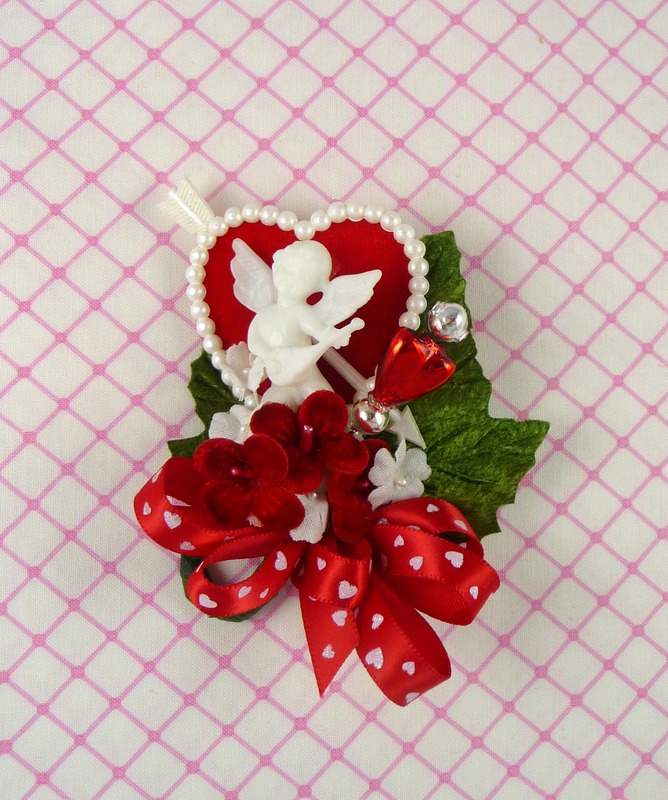 Come visit the shop and check out the new mini corsages starting at just $13.50. Let me know what you think! In the next few weeks, I’ll also be adding a new category of corsages in the shop. 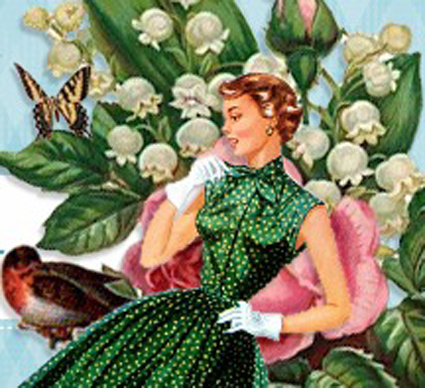 I am currently designing some beautiful vintage millinery brooches. Smaller than a traditional corsage and unrelated to specific holidays, the brooches can be worn in place of a pin on your lapel or handbag, and will incorporate gorgeous vintage millinery flowers and leaves. 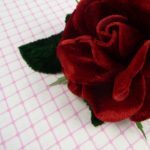 Let me know if you have comments or suggestions on products you would like to see, or if you have ideas for a custom corsage!